All CLEAR fittings are expensive and the prices can vary a lot. IF YOU HAVE TIME and can order in box quantity, we can get a MUCH better price than what is shown below. For example, 401-010C shown below is over $20. But if you have time and order 50 clear PVC fittings at a time, we can get them for almost half that! Same for the other fittings on this page. So planning ahead can save you a bunch on the clear PVC pipe fittings. 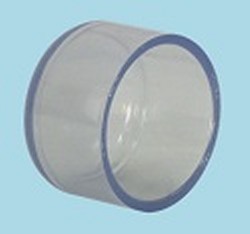 Use the Contact Us link to email your needs for clear pvc pipe fittings.